Since Litespeed’s inception in 1998 the relationship between it and Force reels has been a constant one. Inventive ideas that first take shape in the Force have been put to work in Litespeed’s more conventional structure, which has over time resulted in one of the most successful and influential fly reels of the last two decades. We’ve learned from history, and we’re repeating it with the Generation 5 Litespeed. In 2016 we introduced design changes to the Force SL that resulted in engineering alchemy: A fly reel structure that is larger in diameter, stronger and yet lighter. By integrating the drag housing into the frame, the housing itself becomes a structural member, increasing stiffness and strength. Eliminating the cassette and the threaded overlaps reduces material and thus weight. The integrated housing is much narrower and the frame /drag unit much lighter. A narrower drag can support a narrower spool, which results in additional weight reduction. But what if the reel we’re talking about is already the lightest full drag reel in the world? Perhaps then, as a designer, you think about weight savings as money in the bank, and maybe you decide to spend it elsewhere – by increasing the overall diameter of the reel and trading weight savings into improved retrieve rate. Hence the new Litespeed: Higher retrieve rate, narrower spool for improved line handling, stiffer frame. Specific to Litespeed you’ll find enhanced 3D milling for better material distribution and an improved ergonomic drag knob for better grip. Lastly, the Gen 5 Litespeed comes clad in a revolutionary new coating called Micralox. 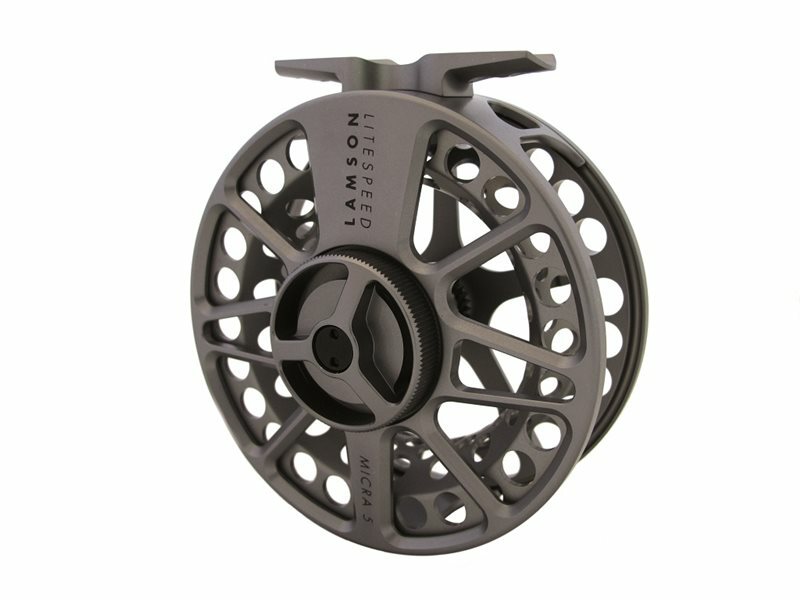 New to fly fishing and only available on Waterworks-Lamson fly reels, Micralox is the ultimate in corrosion resistance. We invite you to meet Litespeed Micra 5. As something Yogi Berra might have said, it’s like history repeating itself all over again.